shibaa987 2 years, 9 months ago. Samsung Galaxy TAB S2 8.0 SM-T715 devices are getting official Android 6.0.1 Marshmallow update. Here is a very simple Step By Step guide to update the Marshmallow Update Manually on the Samsung Galaxy TAB S2 SM-T715 (Switzerland). Just grab the Firmware update using the SamFirm utility or SamMobile or Samsung-Updates website as provided in the below section and then follow the manual OTA update process to get the latest Marshmallow update. 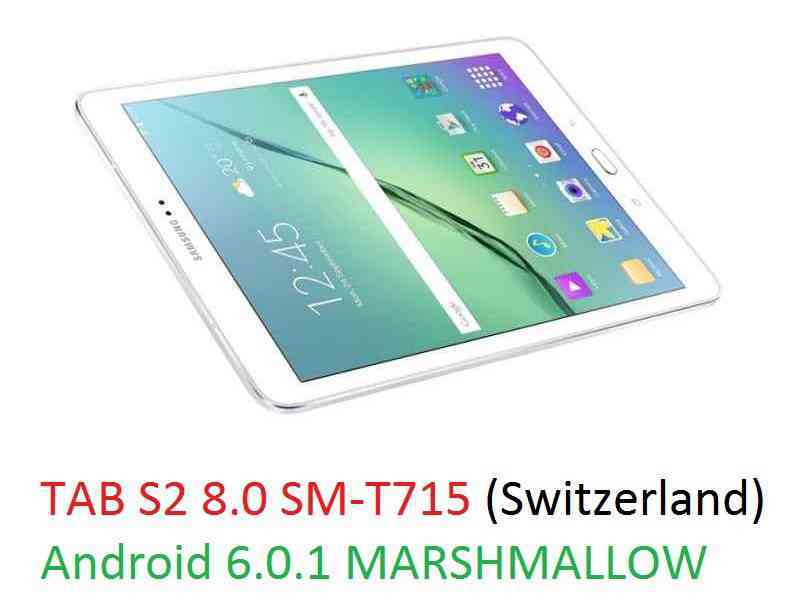 – Download the Latest OTA From Samsung Updates for the Galaxy Tab S2 SM-T715 (Switzerland). For more Custom ROMs, TWRP Recovery Installation guide, Rooting Guide you can have a look at the Galaxy Tab S2 8.0 forum and also you can subscribe to stay updated for this device specific topics. DONE!!! Your phone will now be booting into the Latest Samsung Galaxy TAB S2 SM-T715 (Switzerland) Android 6.0.1 MARSHMALLOW Update. If you have any concerns while following this update then just login to comment. Till the next update just stay tuned.